Box Office Updates: As was pretty much on the cards, Total Dhamaal saw a good jump in collections on its second Saturday. Considering the fact that this one is a family entertainer, enhanced footfalls were definitely on the cards. There were distractions though in the form of school examinations as well as India v/s Australia ODI cricket match. Still, Total Dhamaal marched along. This was evidenced in 7.02 crores more that came in, and as a result the overall score for the film reads as 106.32 crores. In the process, the film has emerged as Indra Kumar’s biggest grosser ever as the collections have surpassed Grand Masti which had collected 102 crores in its lifetime. Here, the film has achieved this milestone in just 9 days. Meanwhile Uri: The Surgical Strike too saw a jump in numbers with 0.70 crore* more coming in. Considering the fact that till just a few days back the film was collecting quite consistently in crores, it had seemed that the trending would continue like that for few more days as well. However with first Total Dhamaal and now Luka Chuppi doing quite well, show count has considerably reduced for this Aditya Dhar directed film. This Vicky Kaushal starrer has collected 238.46 crores* so far and soon it should make its way to the satellite and digital medium as well. Expect many records to be set in these mediums as well. 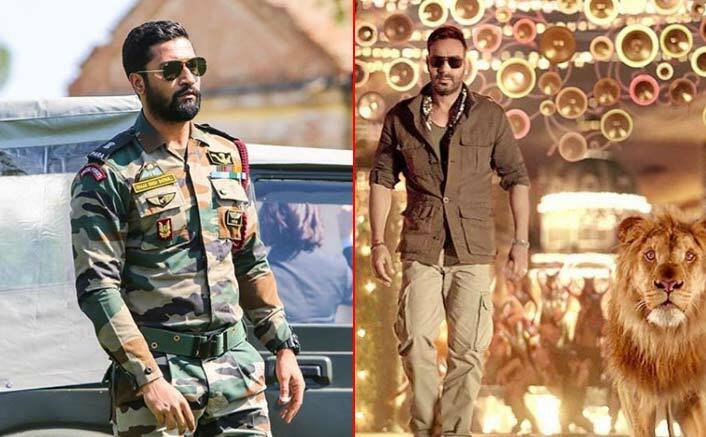 The post Box Office Updates: Total Dhamaal Is Continuing With Good Pace, Uri: The Surgical Strike Keeps Inching Along appeared first on Koimoi.